Fail harder, move fast, break things, and don't be fearful: three phrases to sum up Facebook's approach to innovation. And you too can be brave in business, says Tracy de Groose, MD of London-based communications firm Carat. There has been much talk and analysis of the culture in Silicon Valley as to why this area is so successful at generating world-class entrepreneurs and businesses. The attitude to failure has been identified as one of the major reasons behind Silicon Valley’s success. Having a number of ‘failures’ under your belt is seen as nearly essential to success. But it’s easy to be brave when you’re a start-up and you don’t have much to lose. It’s much harder when your business is bigger, more established and doing well. So, how do you do it then? Draw inspiration from Google’s 70-20-10 rule and factor innovation into your approach: employees spend 70% of their time on the core business, 20% on projects directly related to the core business, with the remaining 10% dedicated to purely experimental projects. Whichever rule or model you use, allocating budget to test-and-learn strategies is a good way of ensuring big businesses continue to take risks. As an example, for Carat’s client Nivea, we promoted a new deodorant product not by advertising its product benefit, but thinking differently about the benefit and demonstrating it. We created a black and white wardrobe collection designed by ASOS that could only be worn with confidence by someone wearing Nivea Black and White. This was the first time an FMCG brand had ever done this. How else can big businesses stay brave? Hire people who can act as change agents in your business. When I was at Naked, a communications strategy business that shaped a different approach to how brands and people engage, we talked about these people as "brilliant misfits". People who didn’t want to fit into the traditional agency model. People who were excited about the idea of working in a different way. Dr John Sullivan recommends that as part of your recruitment strategy you target professionals who are 'angry with the way things are currently done’. People who have a track record of overcoming resistance and making improvements can help your organisation break free from the status quo and innovate. He talks about Steve Jobs, James Dyson and Tom Peters as all being angry people. To be brave, follow the Apple mantra and think differently. Your also have to be a little bit lucky. Richard Branson often references the bold steps he has taken in his career: 'To succeed in business, be brave – and a little bit lucky'. Kahneman makes the distinction between luck and skill. The role of luck is often underestimated, he reckons. But it gives you the confidence to put yourself out there. So, when it comes to business, much can be learnt from the adage: ‘Fortune favours the brave’. 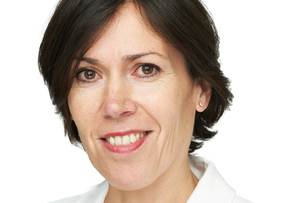 Tracy de Groose is MD of London-based communications firm Carat.